Case – Steel AISI 316L, with reflecting satin finish or black PVD, specific NATO. St. Diameter ø 46 mm. 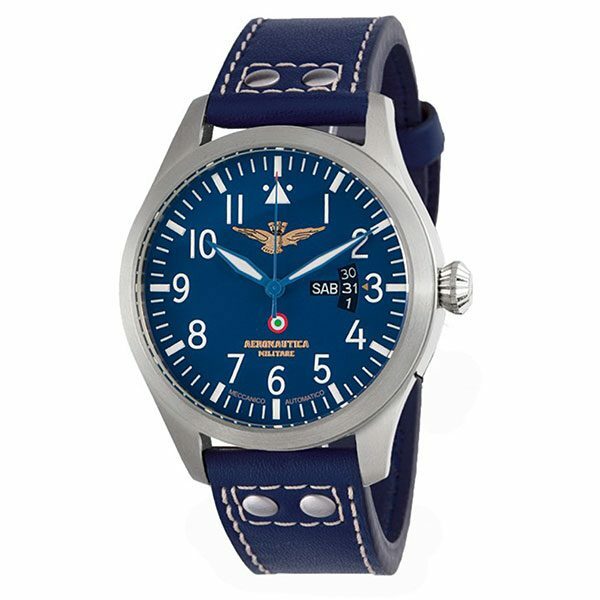 Case Back – Steel screw equipped with transparent windows for the inner vision of the movement, A. M. personalized logo “eagle” in silver. Crown – A screw pineapple, with double o-ring safety. Dial – Vision deck matt black, green vintage, blue. 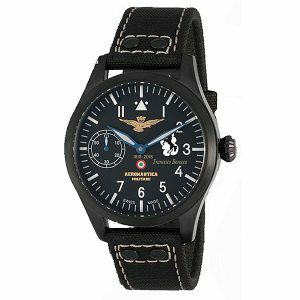 Double printing superluminova for perfect night vision, with Aeronautica Militare logo ‘eagle’ Gold embossed. Glass – Mineral extra strong 700 Vickers, with double anti-reflective coating. Movement – Day date Cal. 8205 Miyota Co. Ltd. 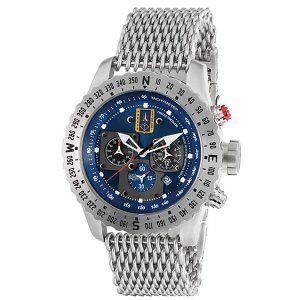 Frequency 21600 vibrations / hour, 21 jewels, 40-hour power reserve. 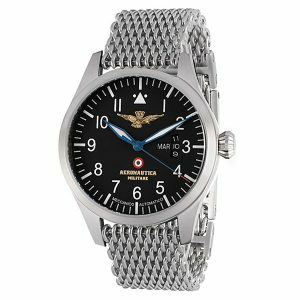 On Request – Bracelet steel Milan mesh. Strap – With internal sweat Lorica, waterproof leather blue, black, galaxy black or green. Reinforced seams with riveted steel brushed or PVD. Water-proof – 20 ATM (200 m). Standard ISO 6425.